This Spiral promotional USB flash drive goes one step further than the already terrific Cycle flash drive with its dimensional advertising space. Set on a glossy white background, the domed epoxy print will really give your logo some extra pop! 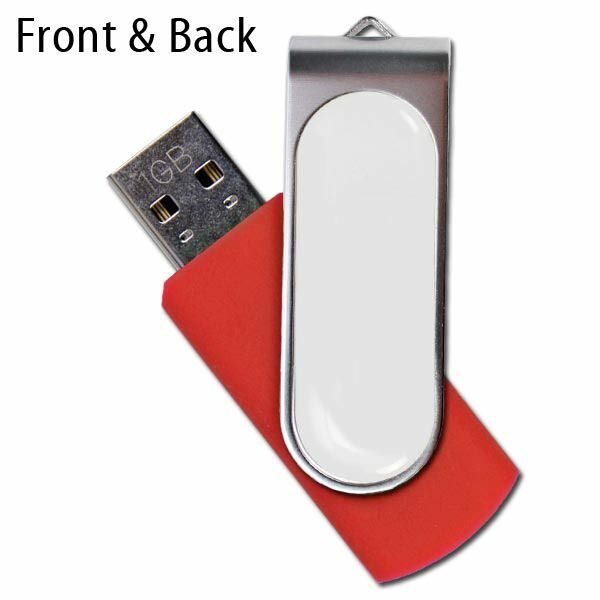 With a wide range of colors, an LED indicator light, and sharp styling, this branded memory stick is just right for marketing your brand. 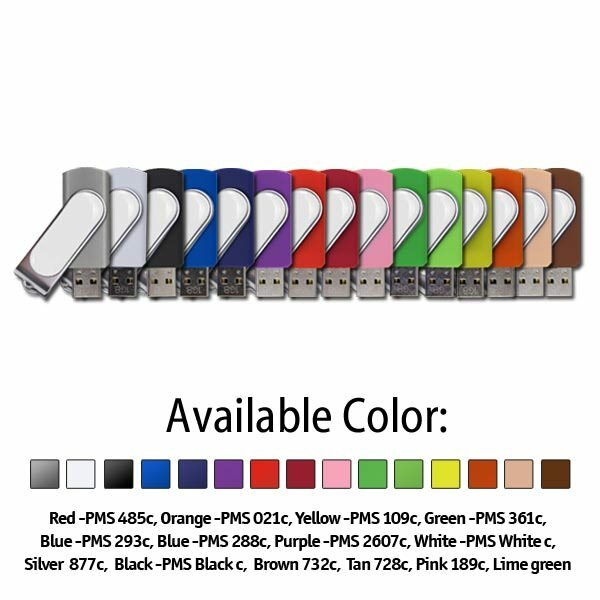 This flash drive is highly customizable, with 14 striking drive color options and large print area. Enjoy 4-color epoxy dome printing which will give your brand assertive presence. 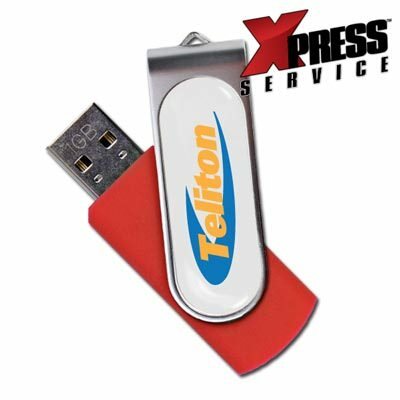 With its huge array of drive colors, durable solid plastic body with steel cover, convenient, capless swivel design incorporating a key loop for easy transport, and great logo display potential, it meets all the needs of the prudent advertiser.